J*DI logo by Ken Howard – with huge thanks from the #MatExp gang! This is a testament to the many women, families and health care professionals across all disciplines and grades that have come together the with the common purpose of improving maternity experience and we would like to extend a massive thank you to the many people who have come on board, worked tremendously hard on a voluntary basis and made #MatExp what it is. There are so many people out there doing amazing things to help improve maternity services of their own bat.Such motivation and commitment. There are so many people who have contributed massively that we are not going to name individuals as where would we stop? But a special mention must go to ‘Can do’ Kath Evans @KathEvans2, Experience of Care Lead, NHS England as the project would not even have got off the ground without her ‘Just Do It’ support – more about J*DI anon! So, it feels very appropriate that this recognition coincides with #MatExp’s 2nd birthday. The answer is a phenomenal amount if you set your mind to it! 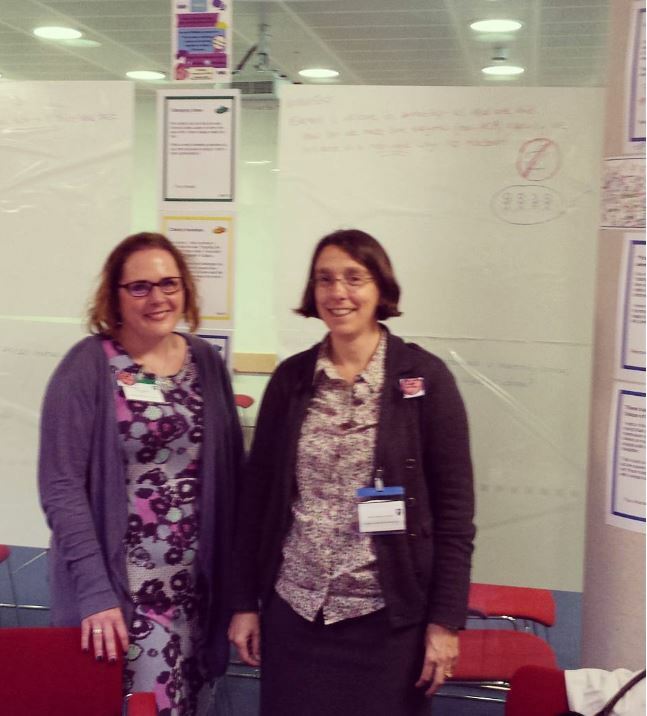 It is almost two years to the day since we (Flo and Gill, the co-founders of #MatExp) met in person for the first time, on 31st July 2014. As many of you know we don’t mess about; we get on with things and by October 2014 we held our first #MatExp ‘Whose Shoes’ workshop at Kingston Hospital NHS Trust as the first of five pilots for the London Maternity Strategic Clinical Network. … but also the immense enthusiastic activity growing alongside, first on Twitter and subsequently via blogs, Facebook, Pinterest, Steller stories, the #MatExp website … the list goes on. As a result, we discovered that we had built a globally recognised change platform by accident – with 454 million Twitter impressions and rising consistently with about one million new impressions every single day. #MatExp is simple and inclusive. ‘No Hierarchy Just people’ is just one of our mantras, emphasising the importance of listening and respecting all ideas and views equally: it doesn’t matter who you are, we are all people who want to improve maternity services together. Another favourite is ‘Wrong is wrong even if everyone is doing it; right is right even if no one is doing it’, and possibly our favourite is J*DI, Just Do It! Amongst all this we have had two years of enormous fun with #MatExp ABC; an advent calendar of actions including this lovely song ‘crowd-sung’ by #MatExp Mums; #MatExp on tour, lemons, cake, new friends, starfish and much more. All underpinned by the powerful #MatExp heart values. So what is coming up next? … and Flo is busy compiling the required monthly reports for NHS England using Steller stories. Last week we attended the Maternity Transformation launch meeting Sarah-Jane Marsh (and dazzling her with our stealth super-tactic: matching #MatExp necklaces). We hope to be collaborating & contributing plenty to this work over the next five years. One key objective is to make our dream of a #MatExp Bazaar come to life. We are looking forward to spreading the word about #MatExp at NHS Expo (7 September) and at the King’s Fund (3 November). We will be hosting a special competition with a coveted prize, which will be announced at Expo. Whoop! Whoop! So whilst celebrating our inclusion in today’s policy document our hope is that it will spur people on to believe they too can make a change. Jump in and join us, take action to improve maternity experience and you never know we might see you all at the #MatExp Bazaar by this time next year! Posted on July 20, 2016	by Gill Phillips - Whose Shoes? Sam Majumdar is a very special man. A champion of true diversity. Person-centred, living his values, encouraging and caring – oh, and a world-class surgeon as well! Sam and I made a very special connection a few years ago when he first joined Twitter. I encouraged him with social media and he saw me as a bit of a mentor. We became friends, in real life as well as virtually. And of course mentoring works best when it is not one-way traffic and Sam mentored me on all sorts of things that really matter in life. Since my experience of cancer over 10 years ago, I have learnt to ‘not stress the small stuff’ and go with the flow. Sam has encouraged this in spades, helping me make my work truly organic and go where the real energy is. Sam believed in the work I am doing through Whose Shoes and has encouraged me at every twist and turn – and believe me, there have been many! Sam is a leader. Clinical leadership is very underestimated in health care, but Sam seems to be on a much deserved wave, as people listen to his commonsense ideas about how things need to change to re-inject compassion into every healthcare transaction. And then more recently, Sam had this excellent blog on patient safety and quality improvement published by the ‘Good doctors’ site, hosted by the GMC. Today, it is a huge pleasure to publish Sam’s blog exploring (Sam’s words) the “highly misunderstood topic of leadership” and (my words) a glimpse of what it is like to be a person-centred clinician in 2016 . Vision is the distant dream attached to your heart with Creative Tension. Remember the stronger the tensions nearer you are to the dream. When you know where you are heading going becomes easy as your heart opens up with an abundance of creative options and the universe conspires to take you to the destination. All human beings are extremely creative and resourceful. Passion is the spontaneous energy that flows out our heart effortlessly when the heart is not repressed. If you submit yourself wholeheartedly to your passion in life the path to your goal open up. When the conditions are right your dream will manifest but this will happen you are able to believe in yourself. Have Faith in yourself and let your passion be the guide in this journey. We remember what we are made to feel. Simple! A new born baby sees the world with her heart (perception) and the 5 senses. Only about 8% of the meanings in any conversation come from spoken words while significant part of the experience comes from the nonverbal communication perceived subconsciously. Every interaction and connection you make in life aim to leave the person on the receiving end happy in heart. Lead from your heart. Connect with compassion and empathy. Create Win : Win everywhere and every time in life. Attention energises and makes things grow. Look at the fruits and flowers in a beautiful garden they did not come without a lot of careful attention. Absence of attention causes Entropy. It is a fact that all children on this planet need attention (love) to Grow. We know very well the painful consequences of neglect, lack of love and repression when everything withers away. That is entropy. Embrace your dream as if it is your little baby. Open up your heart and connect with your dream with loving Energy which is the metaphorical umbilical cord. Nurture it with maximum focus like an expectant mum. Your dreams will manifest. This is the power of Focus! Remember how many times you have fallen as a baby while learning to walk! And you can walk now without even thinking. It takes roughly 20 hours to understand something but 10,000 hours to perfect it. All failures in life come with, blatant and embedded powerful feedback. Pay heeds! Outcome of every action in your life will teach you how to get it right. Be a lifelong learner from your own observation of life. Failures can be very painful but worth every penny when you learn from it through deep reflection (Introspection). Gratitude is an extremely powerful energy that will pull you forward and upward in life. Practice gratefulness actively in everyday life. You can easily recall at least 3 people in your life without whose selfless help you would not be where you are today. Send them graces from the depth of your heart every day. Results will be overwhelmingly pleasant for you. Every action produces an outcome; pleasant, unpleasant or ambiguous. Good practice produces good outcomes. Make them your habit; if possible your rituals. Excellence in life is not an accident but the results of many thousand hours of good practice. Make good practice your habit and don’t wait for an inspiration to change your life. Do not be hijacked by your fear or live as its prisoner. Look deep at its face for reasons. Irrational fears will disappear with logical attempts to define it, because they come from the lower part of brain; just like darkness when you switch of the light. Redefine fear within the context of your dream i.e. the big picture in your focus. We are only alive in the context of the present moment. Past is History; memory that is helping us experience life in the present moment. Future is mystery and remains elusive. One is often focused in the past when depressed or focused in the future in the time of anxiety. Sadly in both of these situations significant proportion of our creative energy is wasted as the present moment fast becomes past. Focusing into the present moment with the mindfulness creates what is in your heart and connects you with the person sitting in front you who would love your attention or the beautiful field of lavender you are gazing at. Get stuck in the present moment for the magic to unfold. Posted on May 18, 2016	by Gill Phillips - Whose Shoes? I loved the wonderful film that Sheena Byrom’s (@SageFemmeSB) family made to mark her 60th. But life has been just too busy. So I thought I’d simply write a blog to capture a few of my thoughts. I might do a Steller story too. I feel incredibly lucky. I can remember my mum having to retire at 60. Happy birthday and off your pop … regardless of whether you are enjoying your work or have so much more to contribute! Mum is now 94. 34 years ‘retired’. I am glad things have become much less rigid. One of my children asked me recently when I am going to retire … and I laughed. I had a bit of a party on Saturday. It was really lovely but all rather random. Some wonderful friends came. I tended to invite people as I saw them or was in contact with them – I wish I could have invited everyone! People were asking ages ahead whether I was ‘all ready’. Hmm, hardly. We had a new toilet fitted on Thursday (the plumber was just back from holiday) and my son-in-law-to-be was out there with his circular saw (and dogs!) on Thursday evening cutting a new worktop, delivered that day. Luckily it stayed dry. We had just had a palette of Whose Shoes boxes and boards delivered and waiting for attention in the middle of our living room and a large shipment of mini shoes from China (hooray!). People do not see what ‘sits behind’ a small business but, as they say, it all came right on the night. A big hit at the party was a cardboard frame that my friend Sarah, who made the mistake of arriving ten minutes early, knocked up with her children for people to take photos! The previous time I had a bash was when I turned 50. My dear friend Lindsay played a big role in arranging my 50th and this time I was tempted not to bother as Lindsay is no longer here. Inevitably lots of people have died over the last decade, but my dad and Lindsay are the ones I really miss. And ‘Betty Boogie’, my mum in law! My dad was a real character and very down to earth. When I got married, his ‘wedding speech’ was very short. He had had it prepared and told me it regularly from the age of eight: “It is not so much a case of losing a daughter as gaining a bathroom”. Dad was an avid Daily Telegraph reader. From the age of about 75, he checked the obituary column in bed every morning. If he wasn’t in it, he got up. 10 years ago. I had had cancer. I had undergone surgery, chemotherapy and radiotherapy and was on long-term drug treatment. I am not sure I expected to make it to 60 and, as so many people say, it really made me see what was important in life and not to waste time on stuff that really doesn’t matter. My friends had clubbed together to buy me a swing seat for the garden and I still love it. Like the sea, it is one place where I can totally relax. 10 years ago, I was still ’employed’ and Whose Shoes? wasn’t conceived. I have written elsewhere about why I jumped ship, my favourite version being on Sarah Reed’s blog. Since then, I have learned a lot (particularly from the School for Health Care Radicals #SHCR) about what happened and why. Helen Bevan named me the ‘No 1 Radical’ – not sure that is true, there are so many people making fantastic changes, but a huge compliment. Setting up a small business is really tricky: you have to ‘know everything’ and I felt I knew nothing. I just had a passion to find a way to listen and value the ‘wisdom in the room’ and develop a system of true co-production, which is at the heart of Whose Shoes? As you may imagine, it has been a mega rollercoaster – riding the depths of the recession and being invited to speak in all sorts of interesting places including Malta, Paris, Australia and Puerto Rico! Gill helps Baroness Cumberlege to tweet! 10 years ago, I wasn’t on Twitter. All of my friends were real life friends – now so many of them are social media friends who turn into real life friends. I loved this cartoon that Katie @BirthCompanion drew of me recently at a #MatExp event where they were laughing at me running a mini Twitter masterclass, helping Baroness Cumberlege to tweet! My party was an amazing mix of a ‘bit of a tweet up’ alongside fabulous family and friends who have stuck with me despite Whose Shoes? , social media … and all the things that seem to take me away from them! My friends Yvonne and Rosemary, who have been there with Lindsay as the children grew up, Trinny-ed and Susannah-ed me and knocked things into shape before (and indeed during!) the party, along with my lovely daughter Jenny. Flo @fwmaternitykhft and her husband got busy with the helium and arranged balloons. We need these people in our lives who just see what needs to be done, understand us and er … JFDI. I am delighted to be a Granny. One little boy, now aged seven months. Gorgeous! It was a special moment having birthday piccies in the garden as the party began. I hope one or two more grandchildren might come along before I am 70. Who knows? The evening morphed from a String Quartet to heavy rock – I have very eclectic tastes! Me and ‘my boy’ – ‘The Cricketer’ painted by my amazing friend Lindsay. 10 years ago all of my three children lived at home – and now they have all flown the nest and have their own lives and homes. It wasn’t a linear process. There was a lot of coming and going. They all live very locally, which is lovely. ‘The cricketer’ (now a maths teacher) very nearly settled in Australia, which I guess could have been lovely in a different way. Life is very arbitrary. Jenny gets married next month and we have just enjoyed a fantastic hen weekend. I got big brownie points for dancing until 2am. Apparently that is not what you expected to do at 60. I am not a big fan of doing things I’m expected to do. Wonder if I will still be doing that in 10 years’ time – I hope so. My mum has become a little bit of a celebrity on Twitter, tweeting and blogging as @Gills_Mum. At my party, she knew quite a few of my Twitter friends in real life, which is brilliant. we toasted friends and absent friends. At the end of the party Theresa, my ‘oldest’ friend, since the age of 11, took her back home and sat and chatted with her having tea until 1.30am! They apparently had a lot to catch up on. I hope I will make it to 94 and will be like that. I am doing some random things to celebrate my birthday. I spent a lovely day on Monday with Lisa Rodrigues. We have only previously had snatched conversations, but yet she travelled up from Brighton to Rugby and we spent the whole day together and could still be talking now! So many ideas to share and explore! Flo made me a wonderful photo book: the #MatExp story. Wow! We have talked about writing a book, but she just did a JFDI version, and that’s really all it takes. A couple of months ago, ‘Mr #WhoseShoes’ was unexpectedly made redundant. It coincided with the time when Whose Shoes? is ‘taking off’ and in danger of no longer being fun, as I struggle to keep all the plates spinning. We are going to do it together, bringing a new work-life balance for both of us hopefully. It means we can travel together and combine work and play in new ways. At the end of the week we are travelling up to Cumbria. Hoping to do a lot of walking, although the weather looks a bit grim. A workshop with North Cumbria University Hospitals NHS Trust, a couple of meetings at the University of Central Lancashire, and possible visit to Morecambe Bay … and a wonderful catch up with my great friend Jenny @JennytheM. Work and play, all intertwined. I have a wonderful friend Sam Majumdar @SamMajumdar – along with Flo, one of the most person centred surgeons that you could meet. Over time we have become mutual mentors. I build networks and see where the energy goes. I find people who make a difference. I follow my heart and don’t ‘sweat the small stuff’. Sam has been hugely influential in this – thank you! As I say, it is mutual and I have the huge pleasure of publishing his first blog shortly – watch this space! People who don’t ‘get it’ think I work too hard. But for me work and play are pretty much inseparable as, with Whose Shoes, I am following my dreams and meeting inspirational people, many of whom I believe (hope!) will remain lifetime friends. Presents have poured in from friends old and new. I feel blessed and very loved. My house is filled with flowers and indeed booze. I have a fabulous new ‘juice bar’ to play Spotify music wherever I go. I certainly had no concept of that 10 years ago. I wonder what the next 10 years will bring. I can’t wait to dive in!! Posted on January 18, 2016	by Gill Phillips - Whose Shoes? There was a wonderful workshop last week at Princess Royal Hospital. The room was packed and the #MatExp Twitter feed was on fire. Laura James, Chair of the Bromley MSLC wrote about it here. Also there is anticipation. It will be the first time we have taken part in a global online NHS Transformathon – not least because it IS the first of its kind. Rather niftily, my last blog ‘explaining’ #MatExp was picked up by the Edge and included in their transformation special edition, so have a browse through that – you will find lots of inspiring stories and practical ideas. We are standing by our beds, so to speak, waiting for further instructions about the Transformathon and hoping that we can get ourselves sorted with the right technology as no-one wants a repeat of Flo and I ad-libbing wildly and singing, as we ended up doing at NHS Expo! Please join lots of sessions but particularly the opening session 4.00-5-30pm 27th January, hosted by Helen Bevan and Alison Cameron – we don’t know the detail but we know it will include a lot of fab stuff. Including NHS Fab Stuff. So it feels very timely that people are reflecting and sharing their thoughts. In August 2015, I wrote about the #MatExp journey so far ‘What a year! My ‘take’ on #MatExp: building a change platform – by accident!’ and asked everyone why they were getting involved with #MatExp and what difference it had made. Victoria Morgan, founder of Every Birth a Safe Birth, got in touch to say that she’d learnt quite a lot from the blog, so I challenged her to write about it! Yes, I am the sort of person with a target on my head! As I’m rushing to a meeting it is usually me people stop in the street to ask for directions…or, in this case, write a blog! There were so many elements of Gill’s and the #MatExp journey that echoed my own that I thought I had to take up her challenge to put it down in writing. So, here are the 11 things that #MatExp has taught me. When Gill created Whose Shoes in 2008 – she gave up her job, jumped ship with a crazy notion, loads of passion, no funding or realistic plan. At the beginning of 2015, I found myself going to job interviews for jobs that didn’t really fire me up. As I asked ‘what do I want to do?’ I remembered my work in the NHS when I’d developed a passion for improving maternity services. One effective technique I’d developed was facilitating multi-disciplinary panels to review serious incidents and agree action to improve the quality of services. It was one of the reasons that led to my appointment as Head of Quality & Safety across four London boroughs. My boss, Prathiba, a public health consultant opened my eyes to the importance of public health analytical techniques in improving clinical quality. From serious incident data I calculated mortality rates for a local hospital trust – this was real time data and it communicated powerfully. At that time, I discovered the work of a cardiac clinical network which had reduced mortality rates by 24% for one type of surgery and wondered if a similar approach could be adopted by maternity services. My passion for improving maternity services also came from the stories of friends who had been left with significant morbidities after giving birth but this wasn’t getting onto the commissioning agenda – we were too stretched. Recognising the pressures on staff which means it is difficult it is to make time for improvement work and my strengths of organising, analysis and facilitation, I thought why not set up a business to support maternity services improve quality? So in June 2015, I set up Every Birth a Safe Birth to organise and facilitate maternity clinical networks. Gill turned the problem of getting refreshments out of the NHS into an opportunity – starting the #MatExp bake-off where participants bake and share cakes, a lovely personal touch that is now a key part of the package. I faced two major problems in setting up a maternity quality improvement business: I’m neither a clinician nor a parent – so without that experience how could I possibly facilitate maternity clinical networks? • genuinely facilitate – improvement ideas have to come from the participants. • discover events and training opportunities such as the MBRRACE-UK perinatal mortality report and the London Maternity Strategic Clinical Network (SCN). 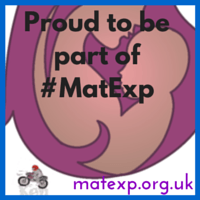 #MatExp began as ‘one small pilot’ and is now a national grassroots movement. Whilst Every Birth a Safe Birth is very much at the embryonic stage, I’ve found that as I step out things can snowball beyond what I originally envisaged. Take that day in June, when I attended the MBRRACE-UK perinatal report launch and the London Maternity SCN. I felt prompted to write a blog reflecting on the events and how grassroots clinical networks could help. ‘what the national maternity review team should know’ series (kicked off in style by Gill and Florence). To my surprise, she not only posted my blog but also asked if her daughter Anna Byrom (@ACBmidwife), editor of The Practising Midwife, could get in touch, as she might like to publish it. Anna and Laura Yeates were understanding editors showing this rookie feature writer the ropes with much patience. 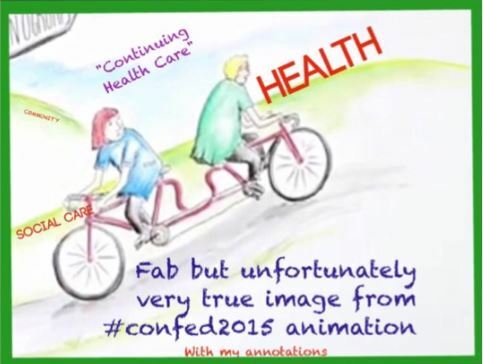 @SagefemmeSB @EachBabyCounts @TPM_Journal @FWmaternitykhft @WhoseShoes Thanks Sheena. I’ve since written a review of the year for the journal: 2015 proved to be a big year for maternity with Kirkup, the national maternity review, the MBRRACE-UK reports and, of course, #MatExp. Networking can feel like a dirty word; really it’s about being friendly and watching out for opportunities where you can help others or ask for help. Having drawn on the work of the London Maternity Strategic Clinical Network for blog and journal article, when I heard the Network needed people to join their Outcomes Group it seemed an opportunity to get to know people involved in the work and help out. Of course my membership of the group has turned out to be more helpful to me than I have to it! Guess who was there as I turned up at NHS London HQ for my first meeting with some degree of trepidation…#FabObs Flo, who gave me a warm welcome! When Flo heard that I was presenting a poster at the Royal College of Obstetricians & Gynaecologists Womens’ Health Patient Safety Day, she decided that #MatExp needed to get in on the act and got a stand – the #MatExp Bazaar – at the event. The way Flo looks at what others are up, then thinks of a better way of expressing it in her context and just does it is impressive. @victoriaRM6 @SagefemmeSB @RCObsGyn excellent I will be too hmmm poster eh @Gynaecology1 any chance I could bring some #MatExp bits& bobs? Having a friendly face at the conference was very welcome and it also gave me the opportunity to meet the lovely Leigh Kendall for real after getting to know her and Hugo’s story through her amazing blogs (if there are any publishers out there, this is a book crying out to be published). Talking to Flo beforehand, she confirmed my guess that these events aren’t usually too interactive and that she hoped to shake things up a bit with the #MatExp Bazaar. Spurred on by the interactive nature of the #MatExp stand, I drew up some comment forms and asked those taking an interest in my poster “would you like to give me your thoughts on what you’ve read?” Not quite Flo and Leigh’s ebullient style; nevertheless delegates kindly gave me their insights. Gill invests time in supporting people on social media – building links across her networks has proved very rewarding. 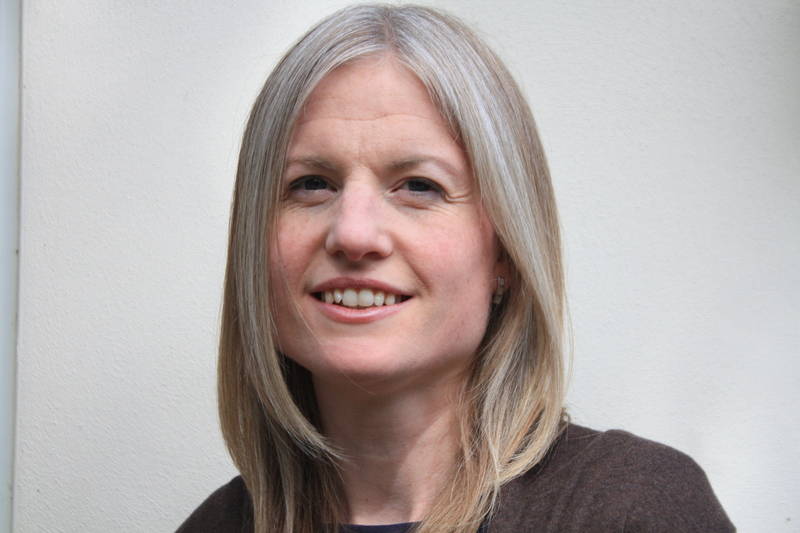 Clare (@Clare_desilva), who I’ve known for some time, agreed to be the parent involvement advisor on the Every Birth a Safe Birth advisory board; she stresses the importance of fathers/birth partners – they have an overview of what is going on. Her husband is a management consultant by day, so he had some great insights into how well the midwifery and obstetrics teams worked together (or didn’t). Having followed the Whose Shoes? workshops remotely on social media, I was keen to try the board game for myself. When the National Maternity Review used it at their road shows, I was there! Somehow the informality (fun) and ‘no right answers’ approach of the board game allows the creative bit of our brains to engage, sparking deeper conversations. Meeting key people at just the right time to help think through her ideas has been a key part of Gill’s journey and also mine. 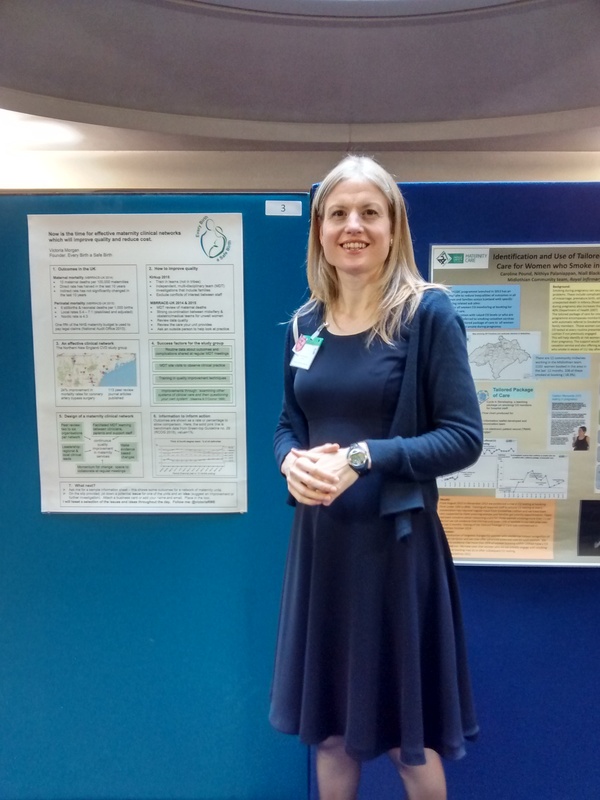 Lucy November (@lucynov) and Ceri Durham (@Homebirth_TH) have provided useful feedback on the clinical quality outcome measures for the Every Birth a Safe Birth clinical networks. Without a clinical or public health background, the 12 (and counting) clinical quality outcomes measures for the Every Birth a Safe Birth clinical networks have had to be drawn from the work of nationally/internationally recognised bodies. The excellent, free to access, work of MBRRACE-UK and the Royal College of Obstetricians & Gynaecologists’s Green-top Guidelines, have not only ensured that the data definitions are correct but also provided national and international benchmarks for the outcome charts. If you’d like to get in touch with Victoria or find out more, you can do this via her website or victoria@everybirthasafebirth.org or follow her on Twitter @VictoriaRM6. Posted on January 14, 2016	by Gill Phillips - Whose Shoes? 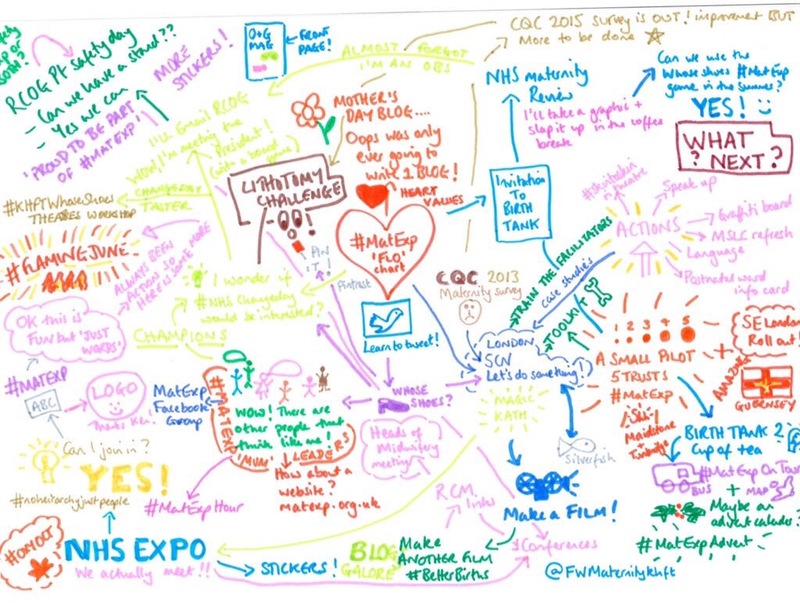 Re-blogging (from our #MatExp site matexp.org.uk – take a look!) 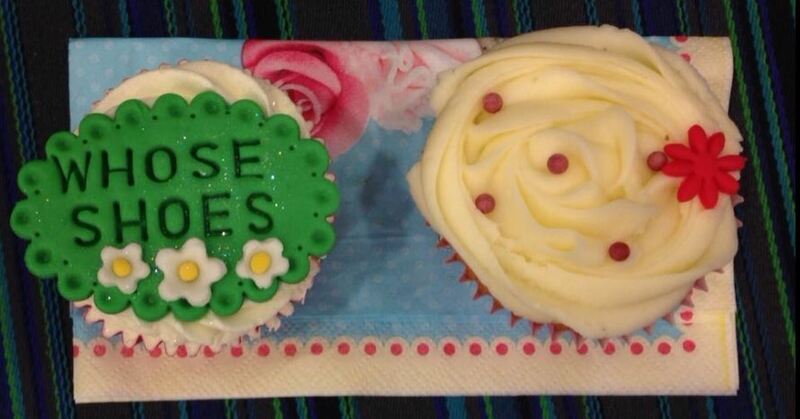 a fantastic round-up of the #MatExp WhoseShoes? event at Princess Royal Hospital yesterday published in record time by Bromsgrove MSLC. Posted on December 31, 2015	by Gill Phillips - Whose Shoes? Lots of people have missed updates from ‘Gills Mum’ and asked how she is getting on – especially since her dramatic escape from hospital – #FreeGillsMum. Mum is really happy living ‘HERE’ (her name – happily now a term of endearment – for her Assisted Living accommodation). 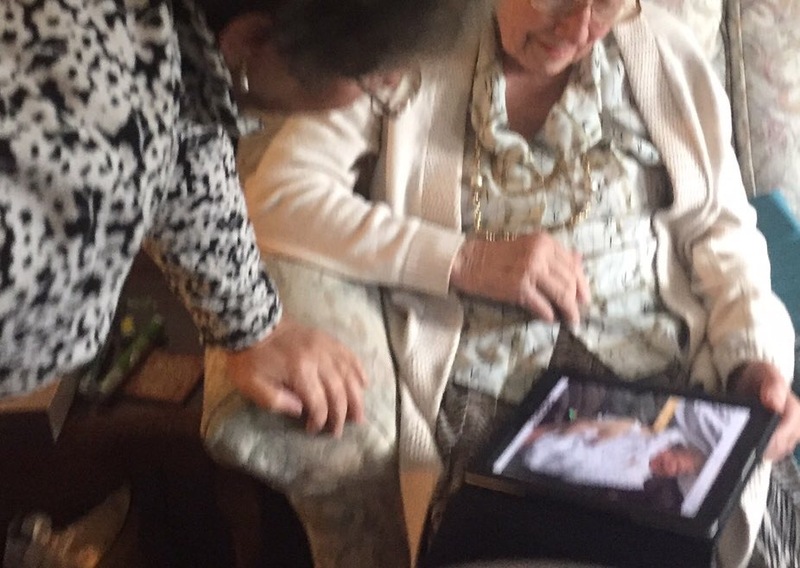 For much of the time she has been a bit too busy for blogging – a nice problem to have when you are 93 and time can stretch out in front of you like staring out to sea. But I have to confess. Mum has written some blogs … but then I have been too busy to post them so they have piled up in her red folder. And I have time to post it it! Here I am enjoying Christmas very much. I’ve been let out for the festivities! I wonder how those who had to stay ‘HERE’ – at our ‘Assisted living place’ are getting on. Most people went to stay with their families. I’m sure the ones left behind had a lovely lunch, with all the trimmings and no doubt some entertainment was provided. Or not! I watch people shuffling into the lounge after lunch and settling down for coffee and a good gossip. I should not say ‘shuffling’ because most of them walk very well, perhaps with the aid of a stick. We also have our ‘walkers’. I hate mine but it does help me get about! I suppose I should say that they chat to one another, but from what I hear ‘gossip’ is more accurate. I usually sit with some other friends and we listen in. There are some very interesting people ‘HERE’ Who have had high power jobs in the past. It is very interesting talking to them and hearing where they have been and who they were and what they did. I don’t call that gossip though! What a lovely Christmas with all the family, a new baby, two delightful dogs and two lovely cats! I am so lucky. They all really look after me. Food of course was delicious and abundant. We played interesting games, which really made us think and showed how differently people view things! The family took the dogs for a walk and they had a great time, even jumping in a pond (the dogs, that is) making everyone wet anyway when they shook themselves afterwards!! It was fun to see the photos they had taken: big fields with bushes and trees. All very interesting and perfect for Molly and Max to run about all over the place. What energy! I think they need some holding. I helped Gill choose some of the photos and videos for her Steller story. It was lovely to chat on the phone to Gill’s friend Theresa. They were best friends at school from the age of eleven and they got up to all sorts together. She is 60 today – I can’t believe it. Where did all those years go? It is so nice being here, with a change of scene and a window to watch other cars moving about, not just coming in and out like back home. I have been persuaded to stay another two days, then back to the camp, which isn’t bad. Shall find out what other people have been doing over the holiday and enjoy a nice lunch. I have had glorious food here; I must’ve put on tons of weight. I have enjoyed getting more familiar with my iPad, particularly reading the newspaper, doing puzzles and playing ‘Words with Friends’.. Normally I just play solitaire! We have seen some good television including the Agatha Christie trilogy “Then there were none” (sinister!) and a film called ‘Peter and Wendy’ – an adaptation of Peter Pan, but far too scary for children! Going back tomorrow and shall see all my friends. I hope they have missed me. The only good thing is that I shall not have to go upstairs at night! That is quite an effort!! I shall have to dig out some bottles of wine because I have enjoyed it here so much with supper. I don’t know what is happening on New Year’s Eve but I think they mean to do something. But it will be very Sassenach! They don’t know how to do Hogmanay in England! Mum is delighted to be home. Not just home, but pretty much back to normal now. It has been quite a saga, as you can imagine. I am not quite sure what she really made of my #FreeGillsMum Twitter campaign when she became a ‘delayed discharge’, bedblocker or other catchy term of endearment – other than that it was effective and she was very grateful. My Steller story got about 50,000 views so certainly struck a chord with a lot of people. As for Mum, it certainly put a sparkle in her eye when our Twitter friends sent her flowers and other lovely little tokens of love and encouragement. Not to mention the Ukrainian and Mongolian armies, Scottish bands and even a Trojan horse – thank you everyone! And, most importantly, the fact that mum was beginning to decline again in hospital (especially after staff started telling her that she “didn’t need to be here”) and has positively flourished since returning home justifies the ‘guerilla tactics’ I think. I have been in awe of Mum’s feistiness and determination as she has re-gained different skills. There is something very special indeed about that war-time generation. She has systematically dispensed with the services of the various members of the re-ablement team, a.k.a ‘the derailment team’. It is quite funny and fascinating to compare their version of things in the ‘official’ notes and Mum’s version of things. And pretty depressing really to see so many different people write down variations of “all Mrs R wants now is help in the shower” without actually managing to provide it in a way that is acceptable. Anyway, mum says that she really appreciates being back HERE and doesn’t even mind that the minestrone soup still has too many bits in it! There are so many different people, I don’t know who does what. But the key people since I came home seem to have been the derailment team. There have been about 30 of them all told, generally friendly and helpful, and between them they have put me back on the rails. I have had more assessments than hot dinners and sometimes felt like a performing seal. They have watched me walking. They have watched me making a cup of tea. They have watched me in the bathroom. Not very nice really. I just want to be left alone and I’m lucky now to be able to do most things myself again. But I realised that I still needed help in the shower. I was really cross yesterday. Two people turned up and woke me up before 8 a.m. I was having a really bad dream and then suddenly, in real life, two people were there by my bed. I found it very disconcerting. Wouldn’t you? They announced that they had come to give me a shower. It was really early, I don’t normally get up until 9 a.m these days. After all, at my age what is the rush? I don’t think I had seen either of them before. One of them was a man and I had already said very clearly that I didn’t want a man to assist me. I thought that was a bit much. 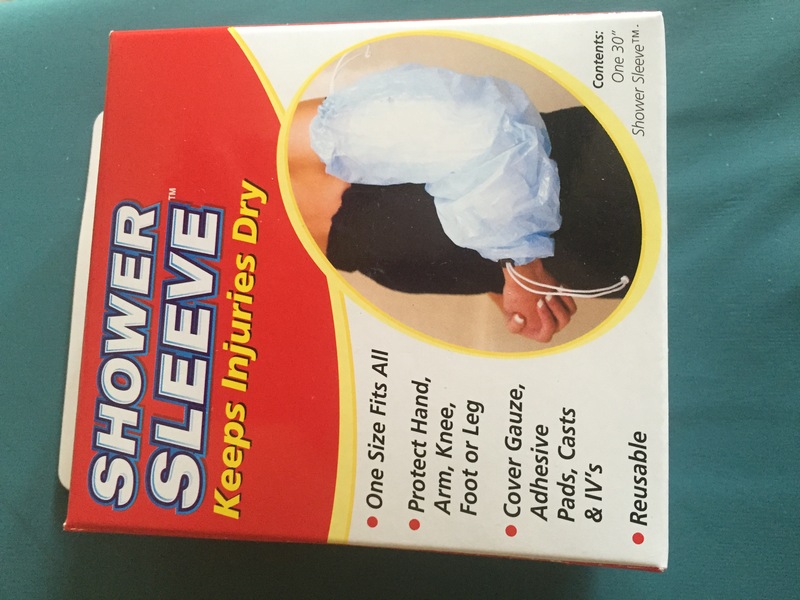 I’m frightened of the bathroom as this is where I had a fall, so I would like someone to help me in the shower – but not at 8 a.m when I am still asleep. It is hard to know what to say in these situations. They said they would come back later in the week but if I didn’t have a shower then, I wouldn’t get offered one again. She seemed to have the authority. I am not sure what will happen. In contrast, I have just had a lovely GP visit me for an ‘over 75 assessment’. Yes, yet another assessment. It has taken them 18 years it seems! The over 75 assessment seems to be something that the government has suddenly thought up. But a good idea, I think, if they actually talk to people and find out what would help them before it is too late. Anyway, this young GP was really helpful about everything and we had a very nice chat. He seemed to be able to make things happen. He said if I didn’t get my new pills soon, he would go and get them personally for me! It was really sweet of him. Who knows – perhaps it will make them even more effective? Today the good and the great from the world of social care gather in Bournemouth for the first day of the three day annual Children and Adult Services conference. Meanwhile the King’s Fund Integrated care conference was held yesterday in London. Yesterday I posted a blog that included a video poem about ‘prevention’ – a popular word in these circles … which I interpreted as preventing people falling through the gap between health and care services. It included a ‘call to action’ for conference goers. It struck a chord as a lot of people recognised the battles far too many people face when they (we!) try to find out about any available support. There were lots of RTs and comments on Twitter but a lot of people didn’t manage to see the video. After all, it is difficult to watch videos when you are at a conference. In health and social care. Exactly what we are preventing and for whom. But enabling people to thrive. Bare-faced to use this phrase. Unfazed. After you. No, after you. No, you go first. Pray. The price tag coming their way. Vulnerable. Yes, me and you. As we once were on our mothers. Real action. Words are no longer enough. Prevention… Integration… Mind the Gap! In June 2015, I was invited to give a talk at the NHS Confederation conference in Liverpool alongside Dr Mark Newbold, Chair of the Commission on Improving Urgent Care for Older People. This is a subject close to my heart, both in my Whose Shoes? Work and my personal life. I published a Steller visual story as a light-hearted way of sharing the experience. I talked about my 93-year-old mum and our efforts to keep her out of hospital, not only safe but happy and as independent as possible. I sat and chatted to Mark after the end of the session and he invited me to join the Commission. Instead I suggested a number of ‘critical friends’ that I thought could add a much wider perspective, not least my mum herself. Well, when I said Mum would be happy to help, I didn’t expect her to go so far beyond the call of duty. She has since provided a real live cameo of how wonderful the NHS is at fixing people… but how much still remains to be done in terms of joining things up. Repeated falls, trips to A&E, emergency admission, waiting on a trolley for 3 hours 59 minutes, being moved between wards, communication (or lack of), multiple assessments (Mum said she has felt like a performing seal), scans and treatment, delayed discharge… my mum has had the lot. And then accelerated discharge after my #FreeGillsMum Twitter campaign led to a Steller story which ‘went a bit viral’, not because the story was particularly unusual, more because it was an all too common experience that most people could relate to. We then entered the world of different teams of carers, an emergency NHS home team, social services re-ablement team (Mum called them the ‘derailment team’), GPs and district nurses, ‘domiciliary phlebotomists’ (my favourite job title) and many more. We met lots of (mainly) great health and care professionals trying to do an excellent job and came across constant examples of processes that didn’t talk to each other: time-consuming and demoralising for staff and soul destroying for patients and families. So, here is my poem again. A call to ACTION!